I have been wanting to share this easy recipe with you guys for awhile and I finally had the chance the weekend to make it for a party and take pictures. 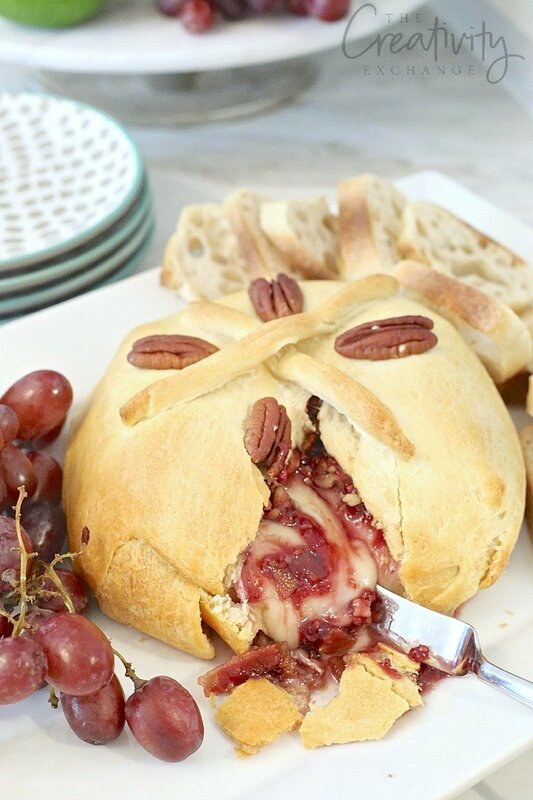 Our recipe for raspberry, pecan and bacon baked brie en croute is one of the easiest and tastiest appetizers out there. 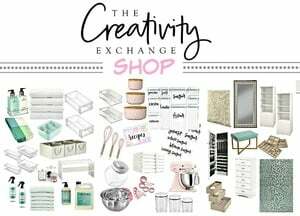 In fact, it only takes about 30-45 minutes to make! I have made this recipe for years but each time I make it, I always tweak it in some way. I know there are a lot of different variations out there, but the way we like to make it and the reason it’s so easy is we use a pre-made Pillsbury Crescent Roll Sheet. 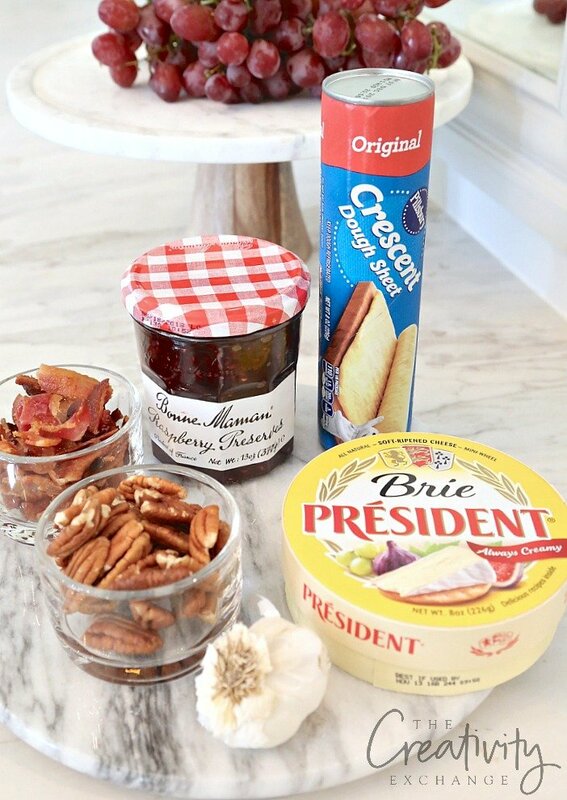 It’s always a big hit at parties and the warm brie mixed with the bacon, pecans, raspberry preserves is amazing! So let’s just jump into the recipe and directions. Turn oven on to 375 degrees. 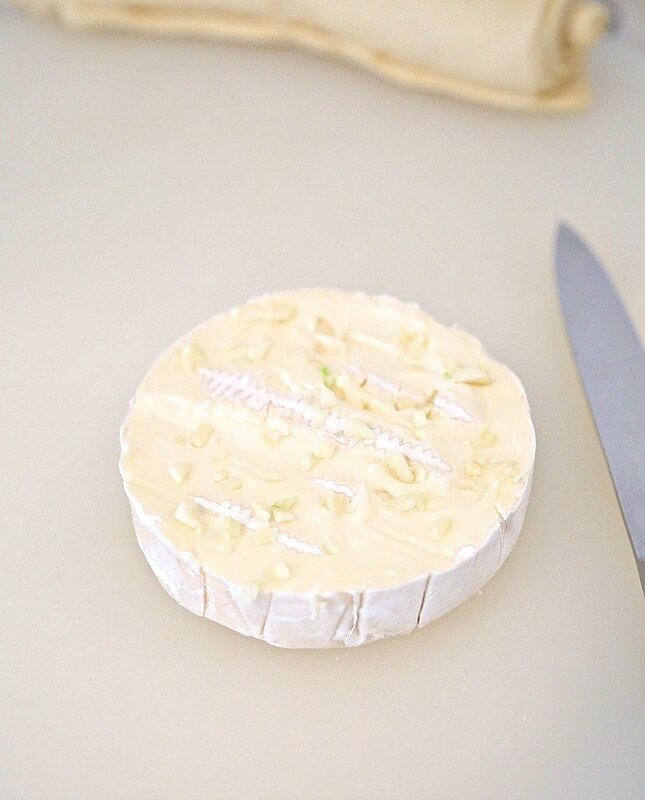 Begin by opening the brie and thinly slicing the top part of the rind off and if you want to include garlic, press the pressed garlic into the brie. Next, unroll the crescent dough sheet and cut off about 2.5-3″ from the length. You will use the extra dough at the end. 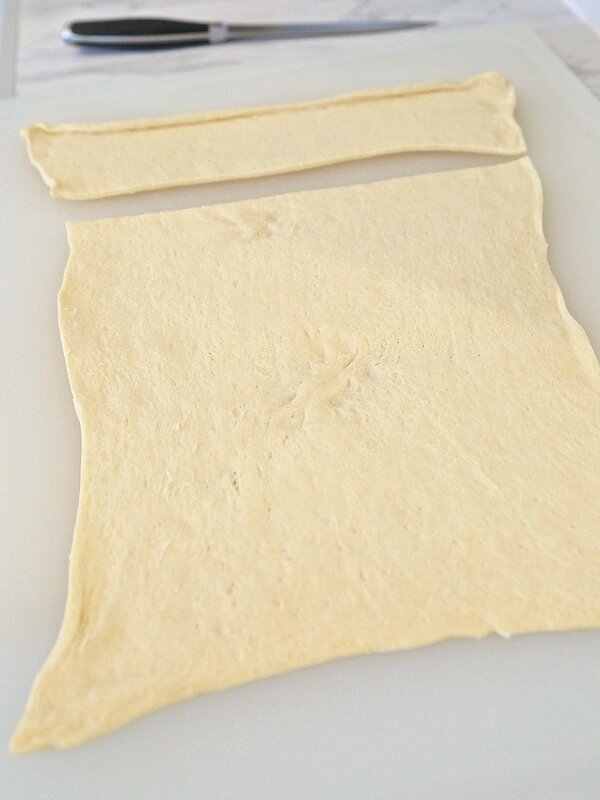 When you unroll the dough, if you have any holes, squeeze dough together to fix and smooth out. (You’ll see below I had to do that in the middle). 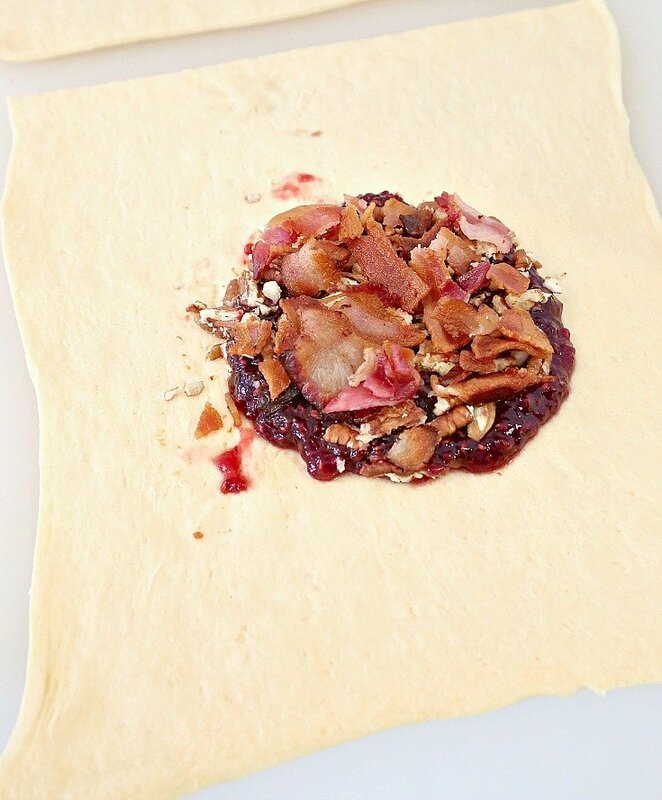 In the center of the dough, add the raspberry preserves, bacon and nuts in that order in as small of a circle as you can. 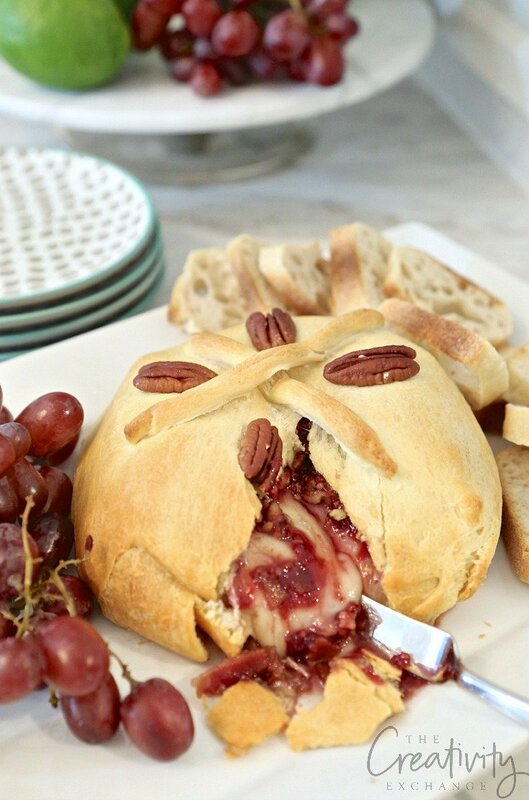 Turn the brie over and place on top of the ingredients in the center of the dough. Press the cheese gently down just enough for the ingredients to spread out the same width of the cheese. 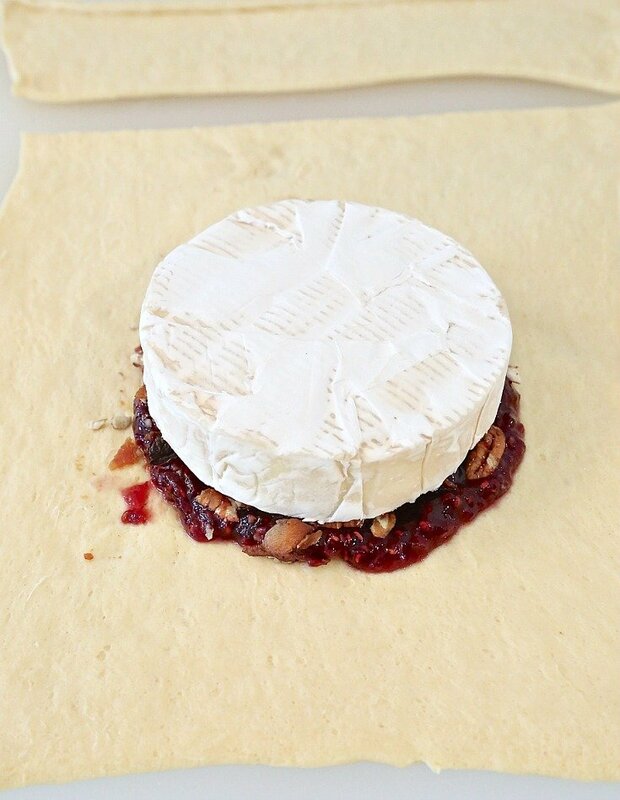 Next, fold in and over the narrow sides of the dough first over the brie. 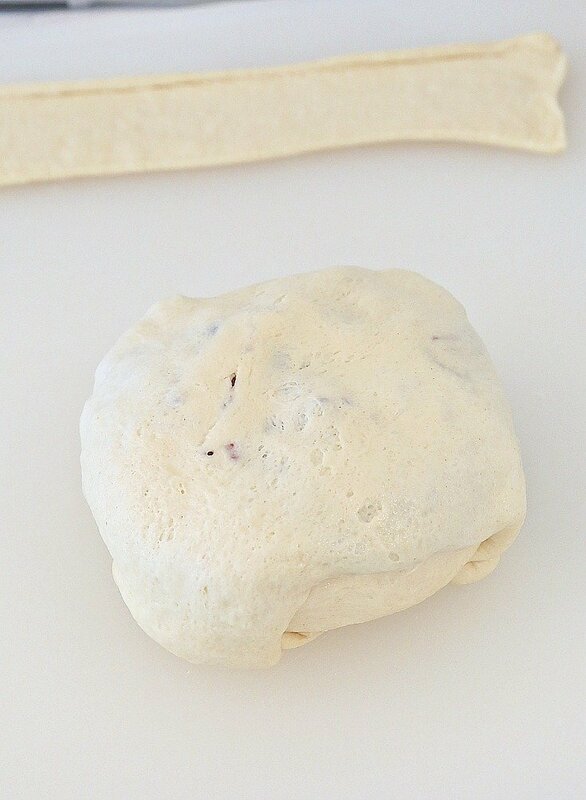 Try not to pull the dough too much, just lift and fold over. Press the dough down and smooth out to attach the dough to the brie. Next, do the same thing with the longer sides of the dough. 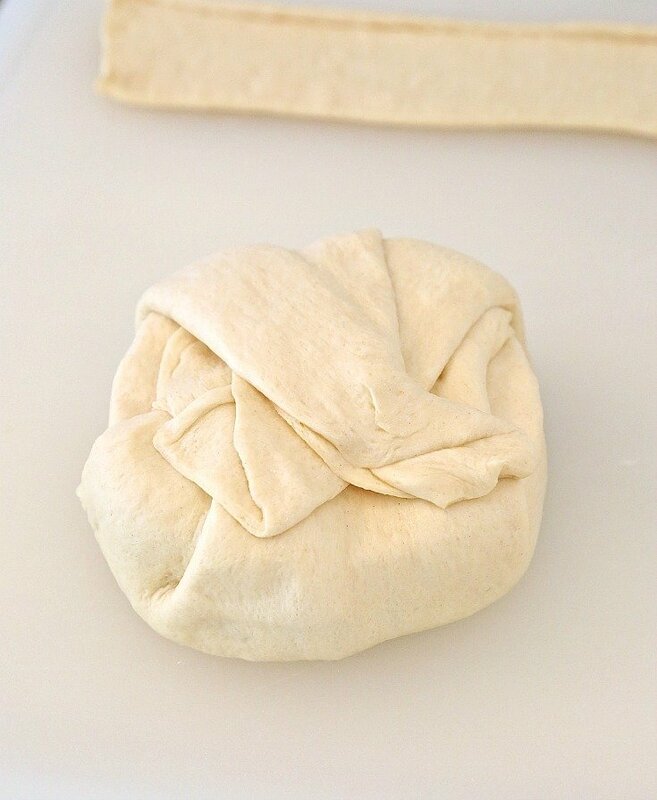 Once you get it folded, you can know gently press in on the dough on the folded side to secure and around the sides (gently to shape and round). Turn the brie over at this point. 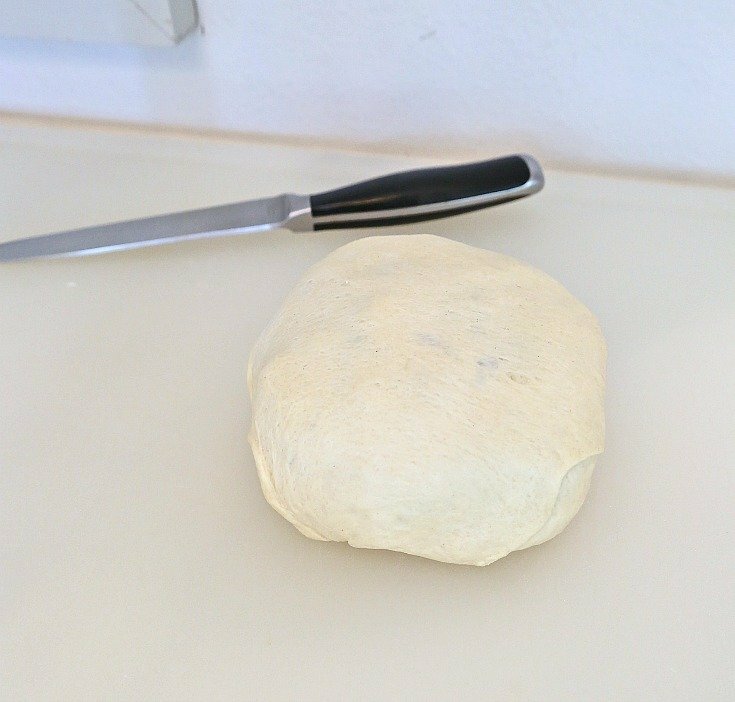 Keep in mind, the top part of the dough may stick a little to your cutting board. Just just pull on it. The extra piece of dough is for covering the top of the dough, so if yours rips, do not worry. 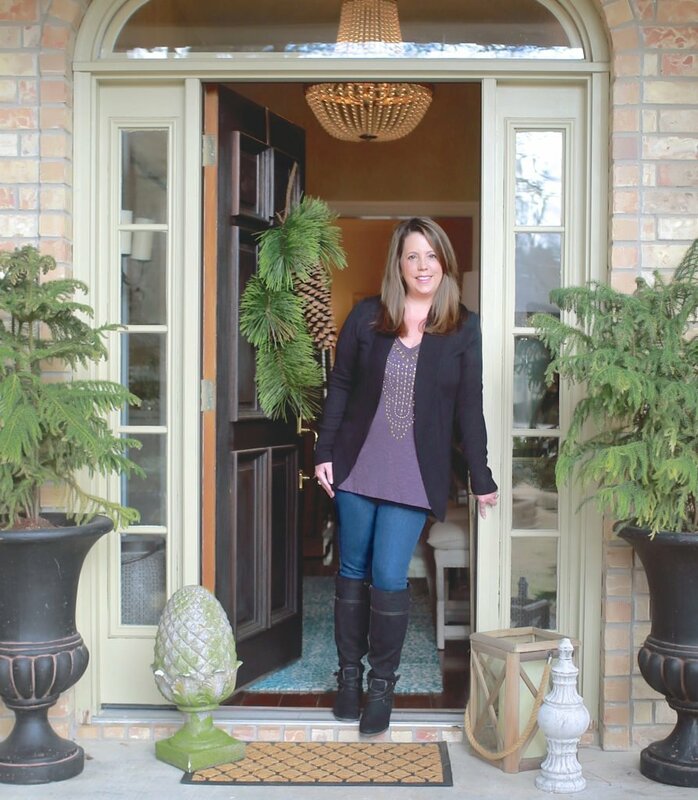 Take the extra piece of dough and cut off about 2″ from the length. Take the large part of the extra dough and cover the top of the brie en croute and this time, you can pull to cover as much of the whole brie as you can and tuck excess dough under. 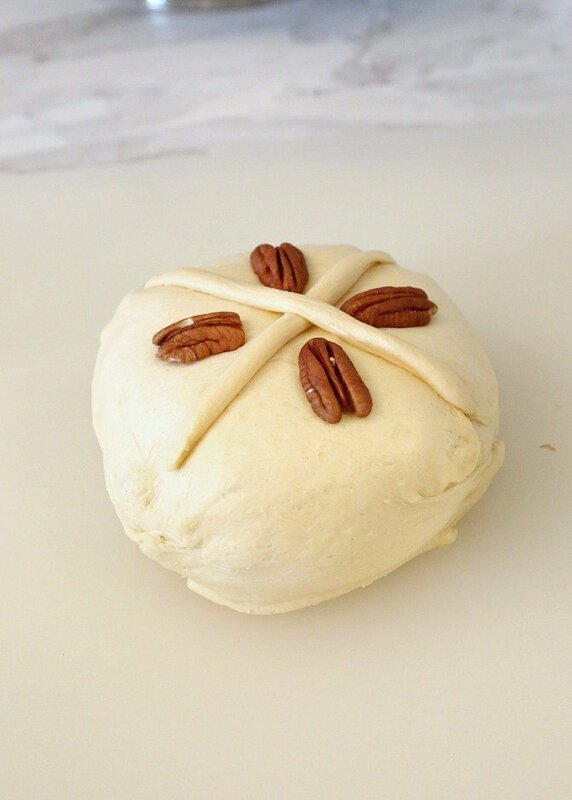 Take you extra small amount of dough, cut it in half and roll both pieces as long as you can and make an “X” over the brie. Add four full pecans to the top. Place brie en croute on cookie sheet and place on middle rack in pre-heated oven. Set time for 20 minutes but after 15 minutes, cover brie with tin foil to prevent the dough from burning but to ensure that the brie melts. 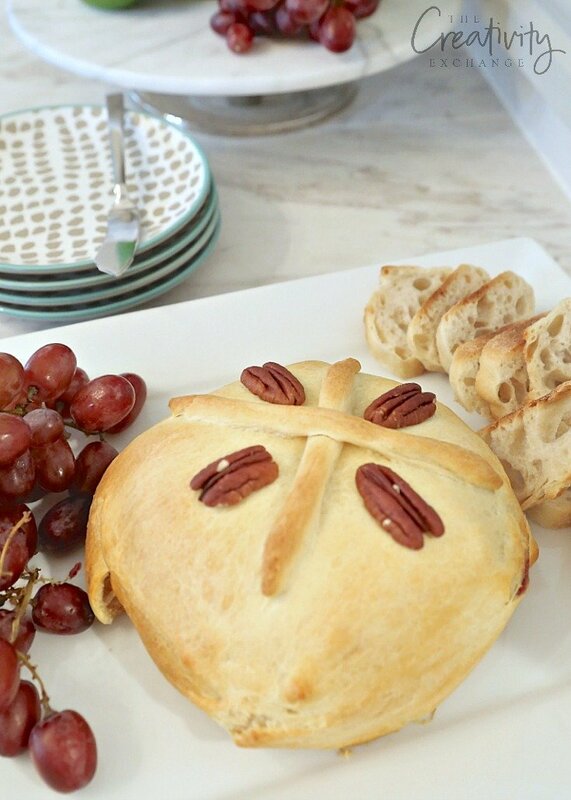 If you’re taking the baked brie to a party, you can make it ahead and just warm it up in over for about 10-15 minutes once you get to party to make sure the brie re-melts. I hope you guys try this recipe because it’s so good and it’s fun to make. so what about the rind on the edges? do you eat that part? Please help me. I’ve never understood Brie! This looks delicious! I want to try it soon… how exactly do you eat it? On a cracker? By itself? I have always been intimidated with Brie ? Not anyone! You made this so easy! And with pictures! Will definitely try it! Thanks for sharing?